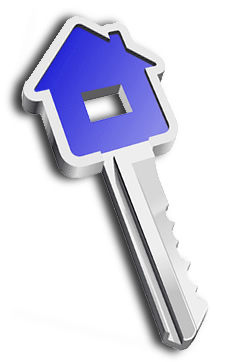 Blue Ridge Title and Escrow, Inc. was established in 1998 and is owned and operated by Valerie T. White. With over twenty-five years of combined real estate settlement and related services experience, Valerie and her staff at Blue Ridge are able to assist professional developers, first-time home buyers and all clients in between. The following Seven Best Practices within our industry help protect lenders and consumers while ensuring a positive and compliant real estate settlement experience as defined by American Land Title Association. Blue Ridge Title & Escrow, Inc. maintains current licenses and insurance as required to conduct the business of title insurance and settlement services in Virginia, West Virginia and the District of Columbia. Blue Ridge Title & Escrow, Inc. maintains required proper and timely recording procedures. Blue Ridge Title & Escrow, Inc. maintains proper title insurance policy procedures related to delivery, reporting and premium remittance to meet legal and contractual requirements. Blue Ridge Title & Escrow, Inc. maintains a system to ensure proper intake, tracking, resolution and communication on all matters. Customer satisfaction is our top priroty. Proudly Serving You Since 1998 Blue Ridge Title and Escrow is committed to making your settlement experience quick, simple and accurate. © 2007-2019. Blue Ridge Title & Escrow, Inc. All rights reserved.